The roulette wheel is one of the oldest games of chance and for ages people were wondering how to win at roulette table. Its popularity and this question remain unchanged to this day. 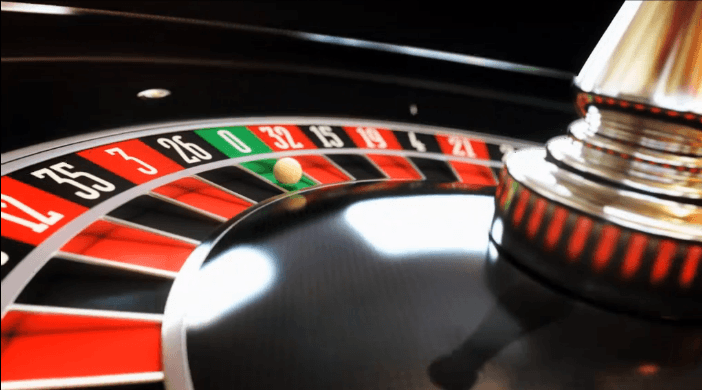 When looking at the game via simple mathematics, roulette gives players one of the highest odds out of all casino games, and it’s the main reason for its longevity. Moreover, the game is easy and simple to understand. Therefore, beginners greatly prefer it. If you are one of those players, read on to get a deeper understanding of roulette and learn some tips on how to win at roulette. First things first. If you want to win, you should play European roulette overAmerican. European roulette has 37 numbers, of which 18 are red and 18 are black, the last number is a zero in favor of the house, making the house edge a small 2.7%, unlike the 5.4% in American roulette thanks to the second zero. Nonetheless, the relatively small house advantage makes roulette ideal for trying to win in short bursts. Unlike Blackjack, where skilled players can heavily manipulate the factor of luck in the long run, roulette is impossible to predict, and you should look for entertainment above winnings when playing roulette. We’re not saying that you can’t win, the house has a mathematical edge, but it would take you weeks, months or years of play to achieve a reasonable sample size demonstrating the actual odds of this game. This is why if you come out ahead, it will be in the short to medium run where luck will play a crucial factor. When it comes to actual winning strategies, none will make you a millionaire overnight, nor will they overthrow the fixed house advantage. If there was a way for players to consistently come out ahead in roulette, the game would be seen less and less. The most important advice we can give you is to keep a calm head and use cold logic when playing. A roulette machine does not follow emotions, it is random in every sense of the word, which is why an uncalculated big bet can cost you your entire bankroll. Inside bets are simple, it means that you are betting on a specific number or set of numbers on the table. If you bet on 14, that’s an inside bet with winning odds at 2.7%. Betting on a single number, also called a straight bet, is unadvisable unless you’re looking to have some fun with disposable income. Inside bets get a little bit interesting when you start combining several numbers. A split bet (two numbers) gives you 5.4% winning probability, still low but double to that of a straight bet with a high payout possibility. There is also the street bet (three numbers, 8.1% odds) and square bet (four numbers, 10.8% odds). Any number combination (5, 6) higher than that and you have a bad risk and payout balance. Outside bets are where the money is being made in the long run. This is the most logical way of play in terms of maximizing profits. You will not see crazy wins using this betting method, but some level of consistency will be present. Outside bets include red/black, odd/even, low/high, dozens and columns. The chances of winning using these bets vary from 20% to just short of 50%. European or French roulette offer the least amount of house edge out of all possible variations of the game. If you are in it to win it, play one of the two versions. The differences in odds may be negligible (+2.7%), but you don’t want to put yourself in a position where the ball lands on a double zero when it could’ve been a winning number when playing American. Moreover, European roulette has a unique feature no other variation has, which is the “En Prison” rule. This rule favors even numbers when betting, and you should consider prioritizing them when placing your bets. When you bet an even number and the ball hits zero, you have a chance to win your money back thanks to “En Prison”. In this rare scenario, your bet will be withheld until the following turn. If you happen to win your withheld bet on the next spin of the wheel, you won’t gain any winnings, but you will get your initial stake back. Online casino roulette is no different than regular roulette found in land casinos. The randomness algorithms remain the same, so to the odds. 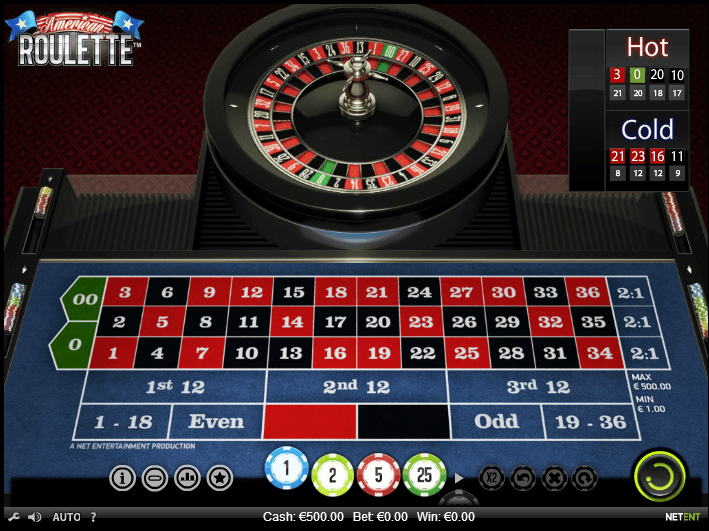 The predominant versions of roulette; European and American, are present among online casinos in widespread availability. While we cannot offer a way that will give you an edge over the house, there is a certain strategy that can steadily maintain your bankroll at a somewhat consistent level. If you’re lucky, you might pull ahead, as is always the case regardless of what strategy you are employing. We are talking about the three two roulette system. This system gives a seemingly increased chance of winning. In truth, it will make winning bets pop up frequently, meaning you will remain on the table for longer and reduce the risk of operating at a hard deficit. Take a look at the roulette table, and you will notice that the second column has 8 black numbers, while the third column has 8 red numbers. You see what we’re getting at. Place a bet on the column with predominant red numbers, as well as an outside bet on red (same applies for black), and if you win both bets you will start pulling ahead. Win only a column and you’re still ahead. If you win on the color but not the column, you will break even, while missing both the column and the color means you lose. This method gives fairer odds to the player but don’t expect to fill your pockets using it. I believe it’s also due we dispel some misconceptions as well. You may hear of roulette strategies such as wheel steering or ball tracking. No, the hard truth is, you cannot predict where the ball is going to land because of the weight of the wheel or similar factors. This may have been true a couple decades ago when the equipment wasn’t always top notch, but far from it today. Needless to say, in online casinos this is completely out of the question as well. One more thing you will come across often is the common and widespread betting systems strategy. It teaches you to monitor the previous bets history and use that knowledge to predict the odds of the following spin. Some people will advise you, for example, to bet higher on red after the ball landed 4 times on black in sequence. We will remind you again that the roulette wheel is a random machine, and the ball doesn’t have memory, which is why you shouldn’t rely on a betting system. If the ball landed on black 4 times, it can land 4 more times after that, yet the house will still have the edge in the long run. That’s the chaotic beauty of randomness combined with probability. If you’re winning, stop while you’re ahead. Consecutive wins across a couple of wheel spins is when you know luck has smiled upon you, so leave the casino shortly after because the longer you stay, the higher your chances of losing. It’s a very satisfying feeling; leaving the casino with more money than you went in with, don’t let greed get the best of you. Lastly, remember that roulette a game of luck and it should be played for entertainment purposes mostly. While we tried to help you and explain how to win at roulette. If you are looking for long term profits, look towards other games where skill can play a bigger factor.